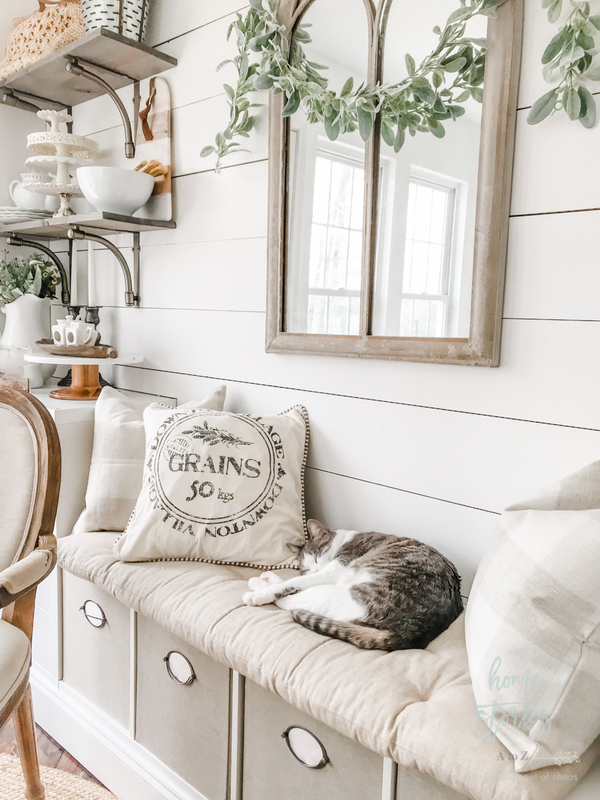 You’re invited to see my home spruced up for spring! 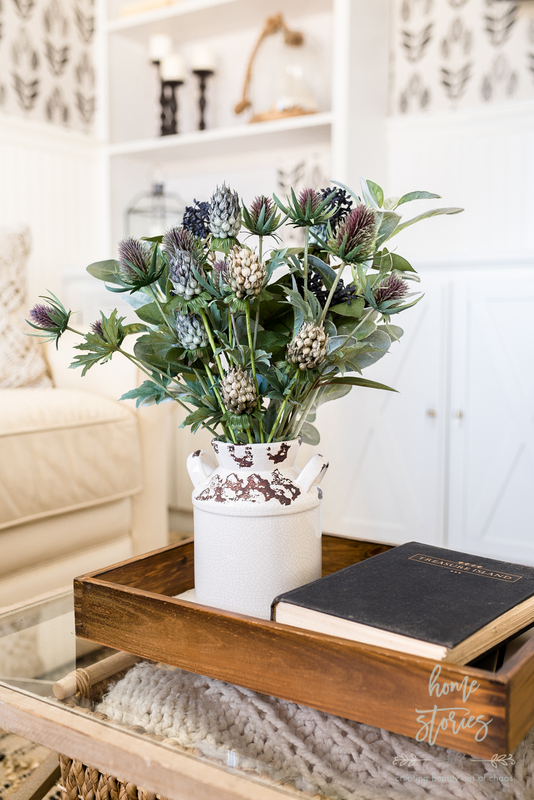 Come on in and see how just a few simple spring touches make all the difference! Spring has slowly been unfurling her blooms here in the upstate of South Carolina for the last two months. I keep waiting for steady warm temperatures to arrive, but it’s still pretty cold outside! We have a few flowering trees on our property that I couldn’t resist stealing a few branches from to spruce up the house. I installed peel and stick vinyl flooring to our kitchen floors last summer and they are holding up so great! A few of the sticker tiles do have dings from where the chairs have blemished them. The felt protectors keep falling off the chair feet, so I need to purchase better protectors to solve this problem. Other than those few marks, I haven’t had any trouble with them and keeping them clean is a breeze. 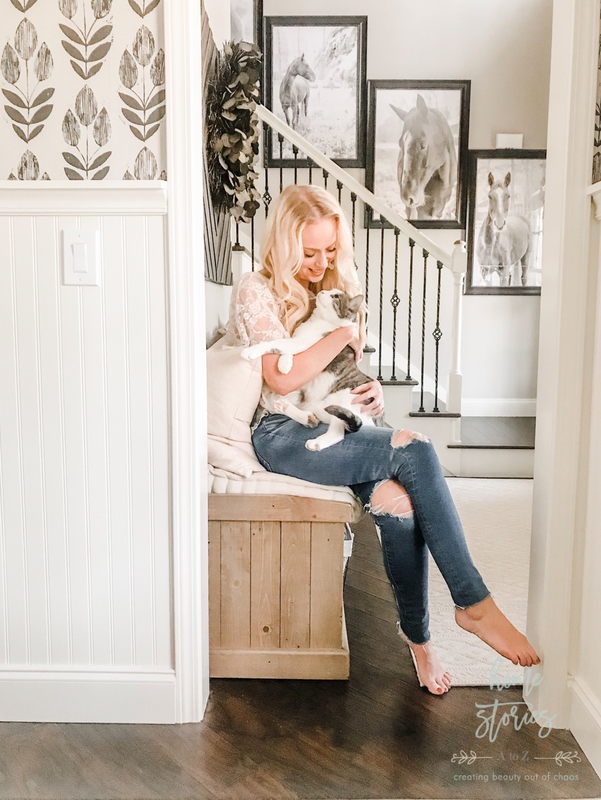 If you’re looking to update a tile or vinyl floor without the expense of a new floor install, I highly recommend them as an option! 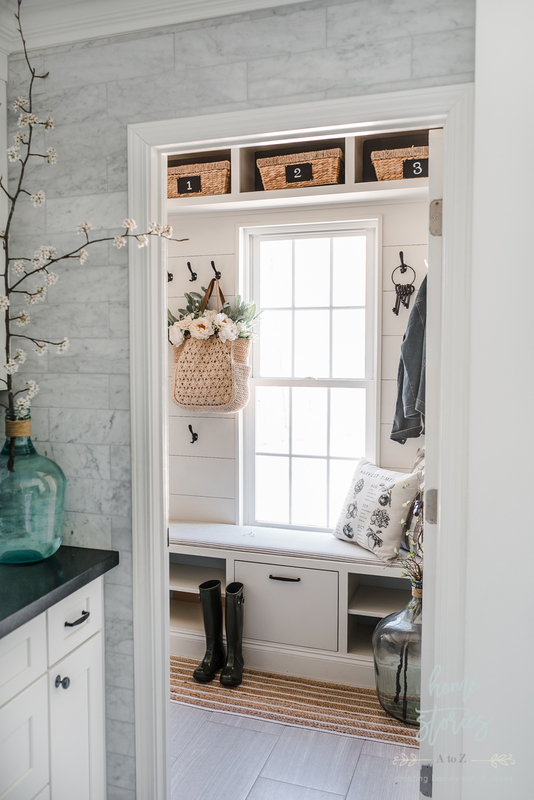 Our mudroom/laundry room isn’t a space I often show on the blog because it’s typically a mess! 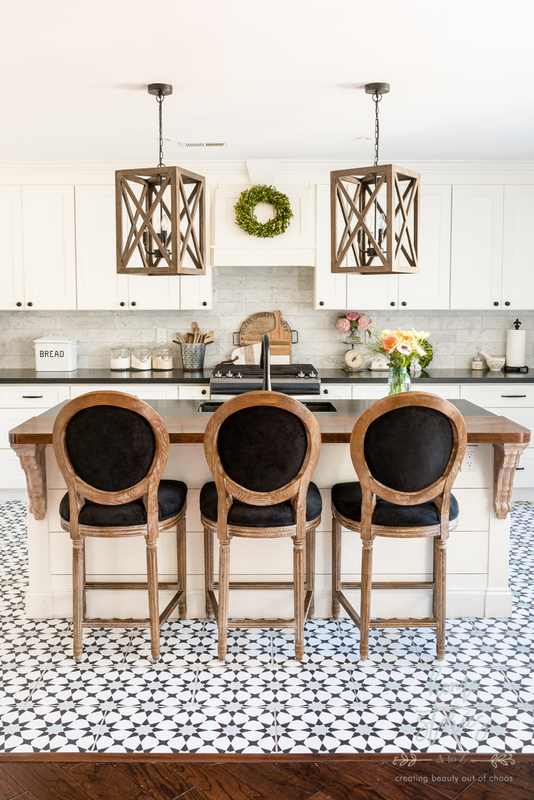 We updated the backsplash with marble tile from Shaw Floors last year and I love this view from the kitchen. I’m very grateful to have this little nook to contain our family’s coat clutter, but wow, it looks so much better without all the shoes and coats! The previous homeowners built this cute hall tree around the laundry room window and did a wonderful job. I recovered the fabric on the bench when we moved in and added the baskets. 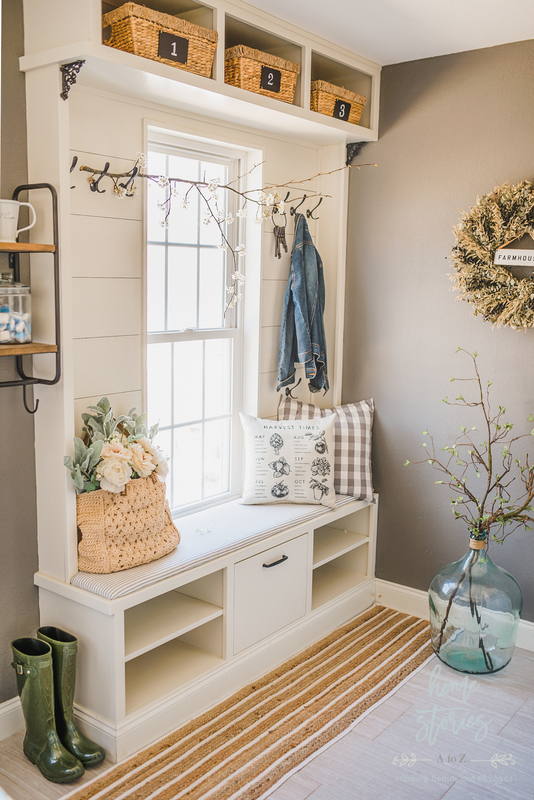 Here is a glimpse of the other side of the mudroom. 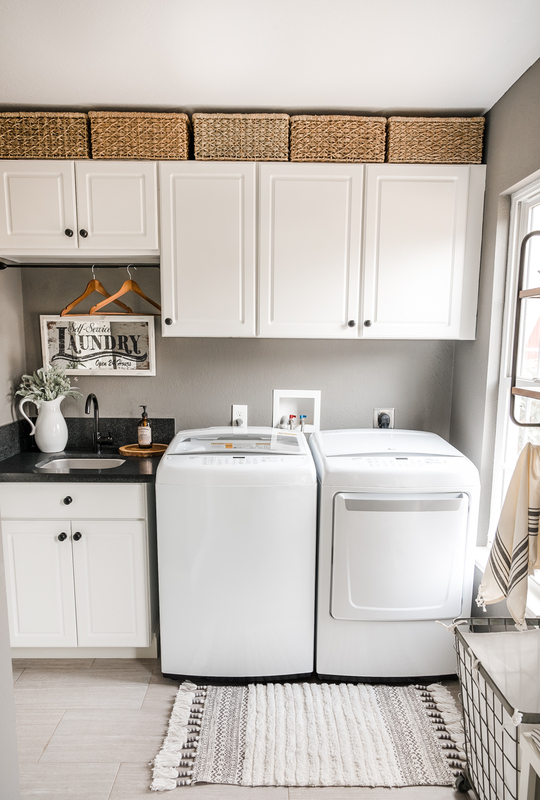 Our laundry room is a simple space that I spruced up with some Sherwin Williams Chelsea Gray paint and a few new accessories from World Market. 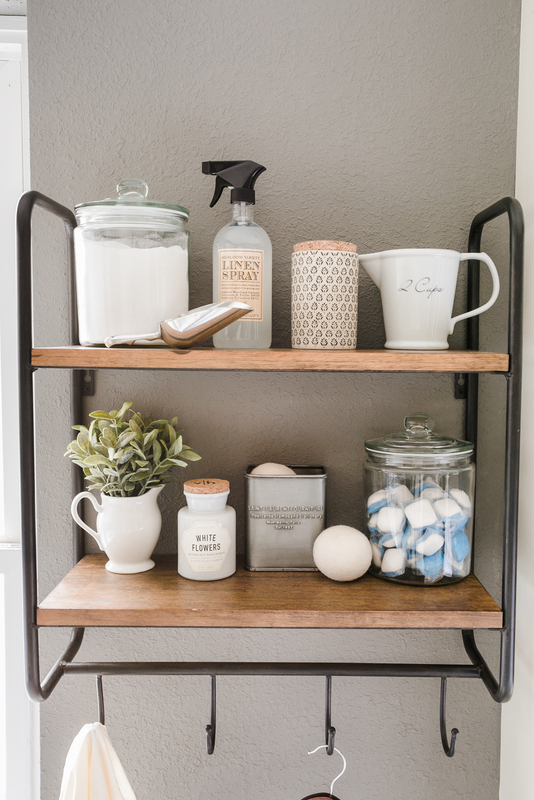 This shelving unit has been wonderful for adding additional storage to the room. 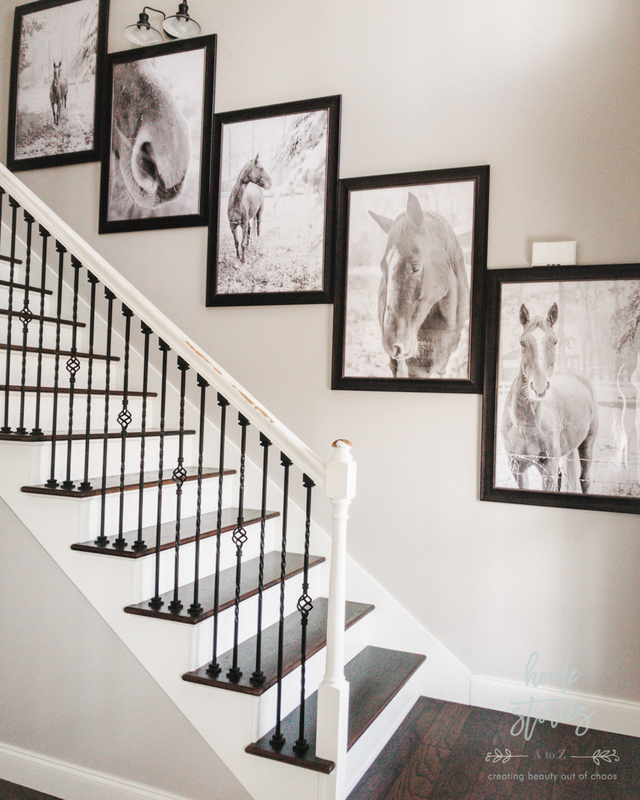 I updated our stairwell back in February with some of my photography of our next door neighbor’s horse. These are just inexpensive black and white engineer prints in poster frames. I absolutely love them! 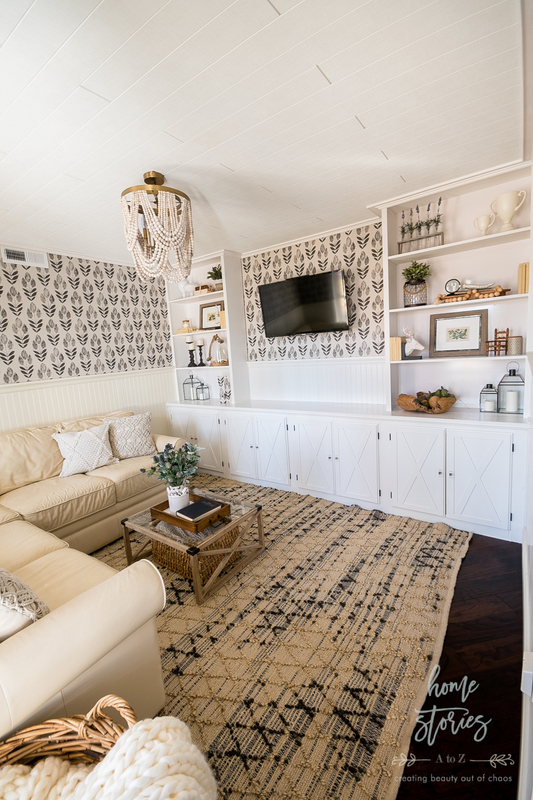 You may have missed our media room makeover on the blog! 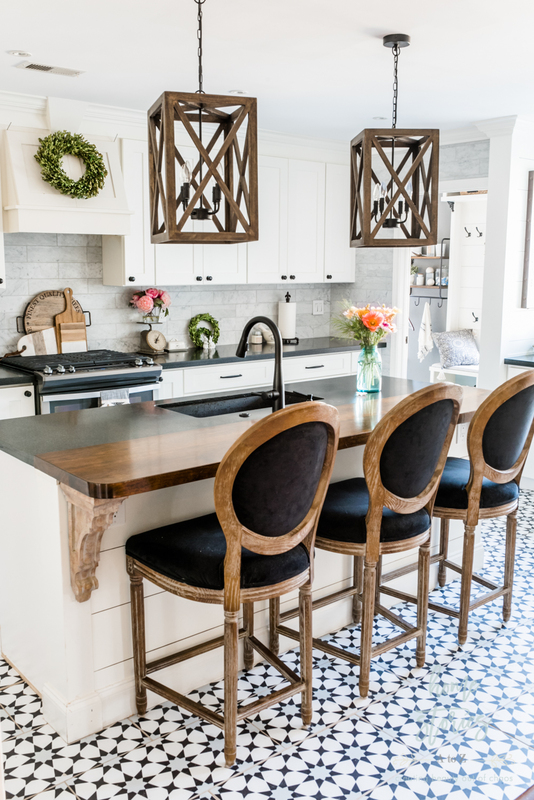 If so, find all the details on this DIY makeover here. 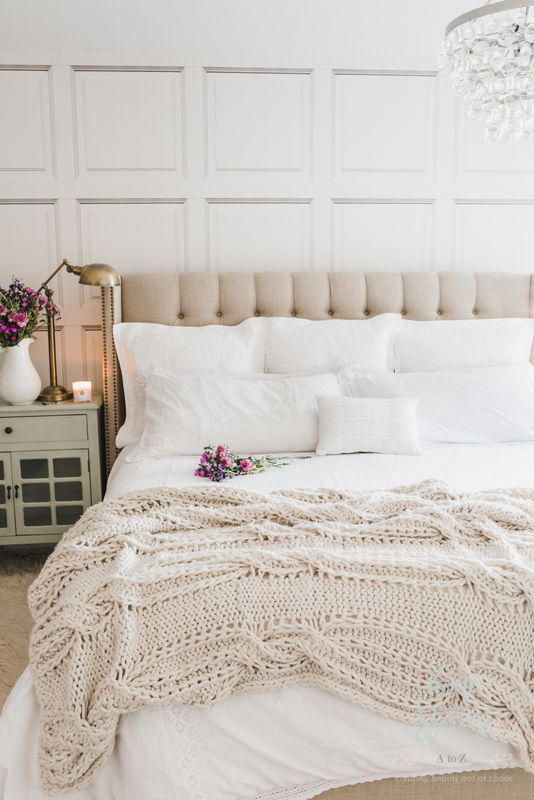 This cozy space is serving our family so well. The breakfast room receives the best natural light in the house and is where you can find me working most days. 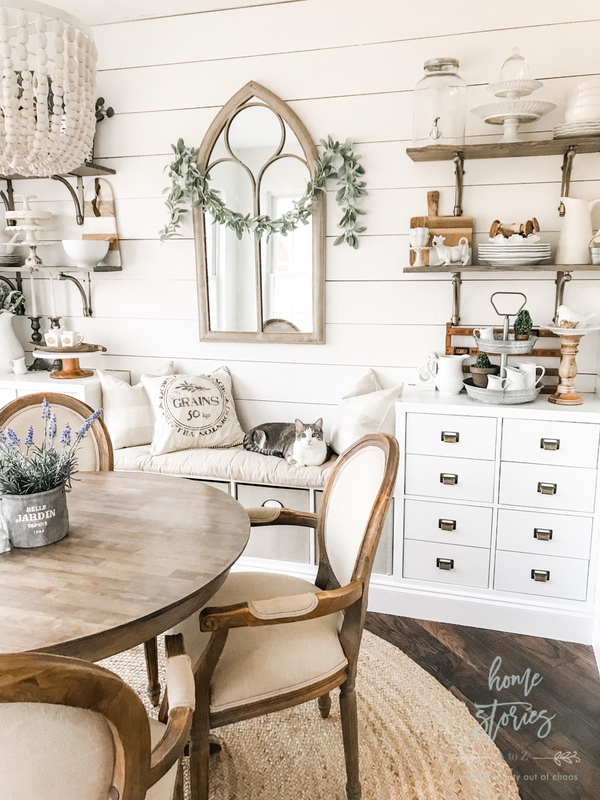 The open shelves are fun to redecorate each season. You can see how I made the shelving here. 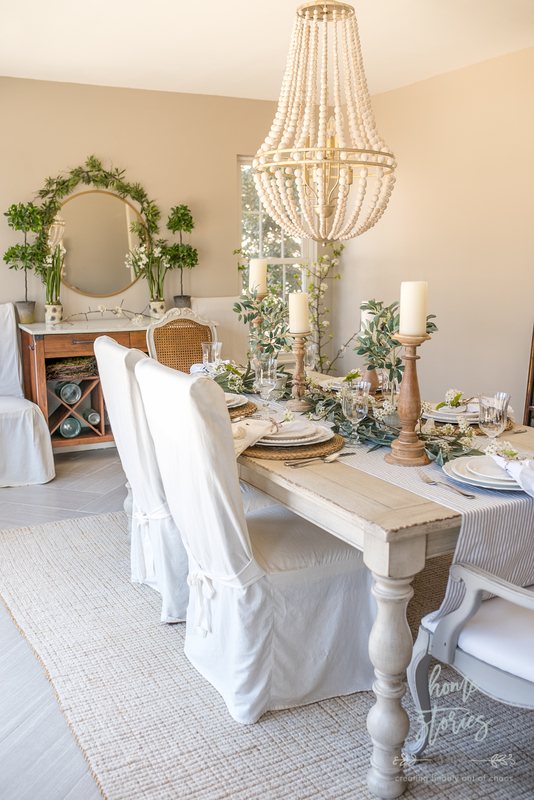 I recently joined a blog hop showcasing our spring tablescapes and you can see all of our tables here! 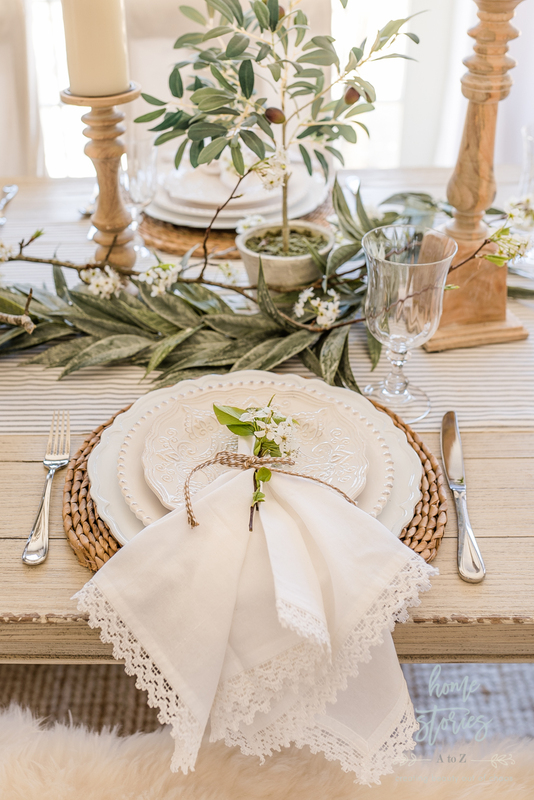 Setting a beautiful table is something I always enjoy! And last but not least on the tour is my master bedroom! 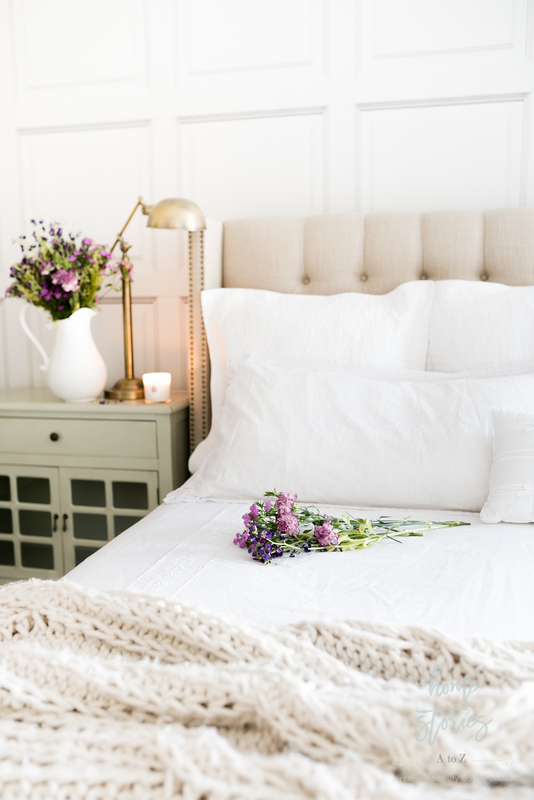 I recently changed our bedding back to all white for spring and am loving the crisp and simple look. 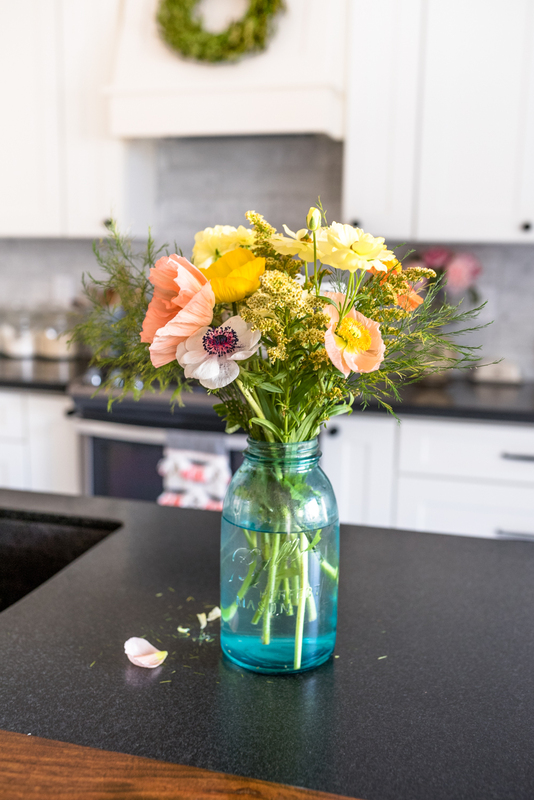 Thanks so much for stopping by and checking out my simple spring touches! I hope this tour inspires you in some small way today! 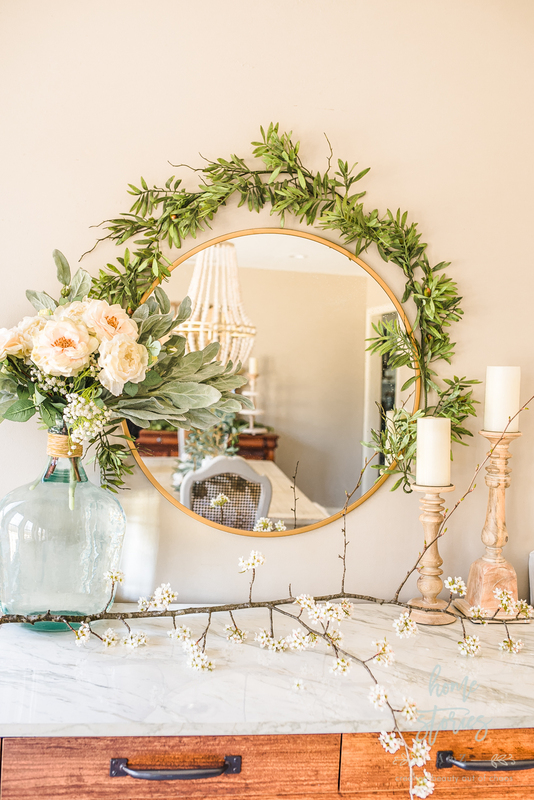 To shop items from my home, click here to be taken to my shop page! This is absolutely stunning! What a great home you have – unbelievable. 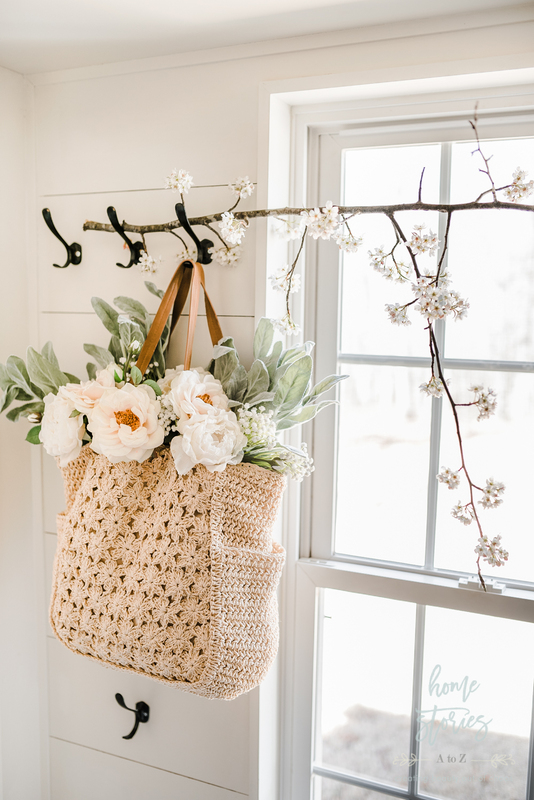 We are always looking for farmhouse inspiration, and this made it to our board. Pinned!